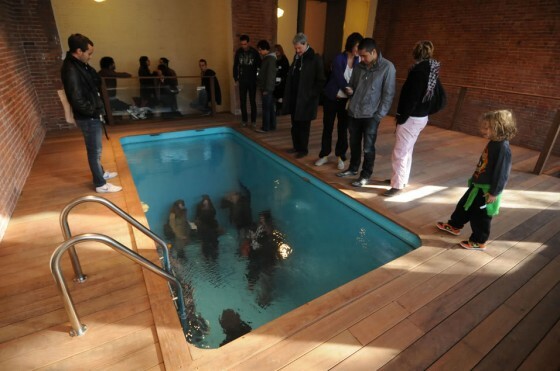 How to upset the seemingly normal situation | EXCITING THINGS ONLY ! | EXCITING THINGS ONLY ! 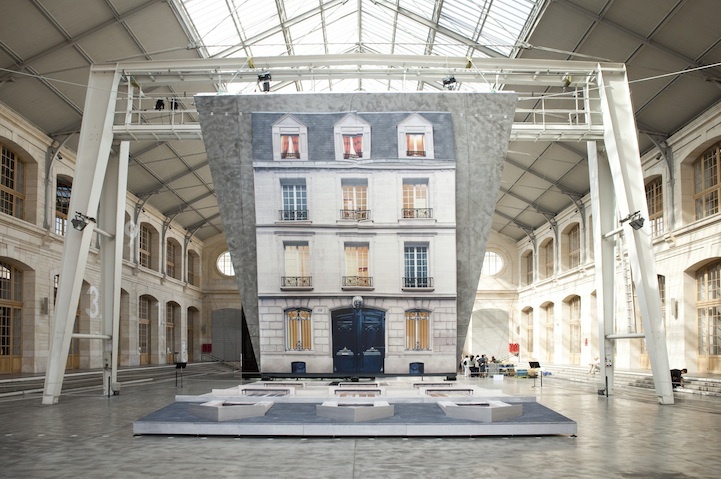 Until March 4th 2012 : Perceptions exhibition, an exciting installation by Buenos Aires-based artist Leandro Erlich is presented at the 104 a new art complex in Paris 19e. 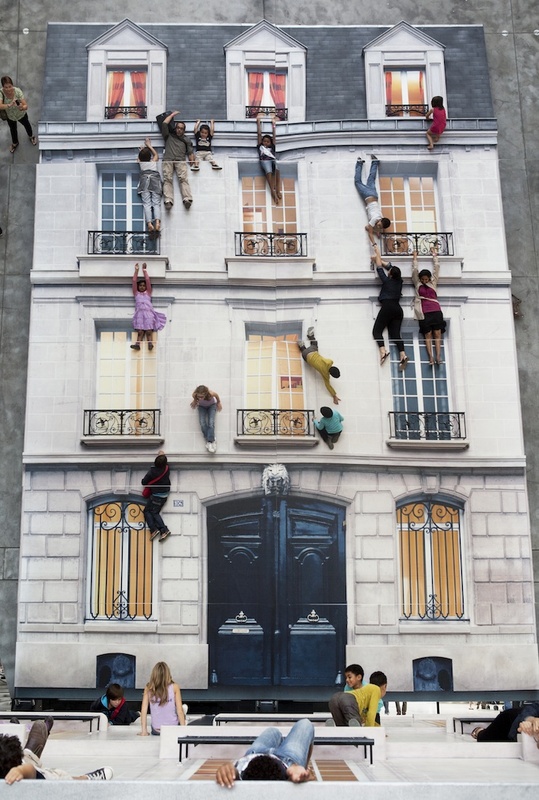 A Parisian facade gives viewers the impression that they’re vertical. 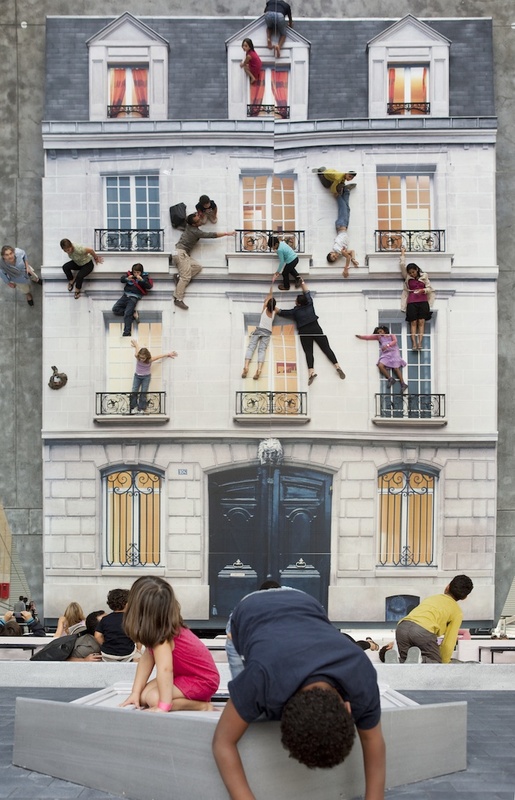 Visitors are encouraged to walk all around the outside of the building, scaling its walls and jumping from window to window. 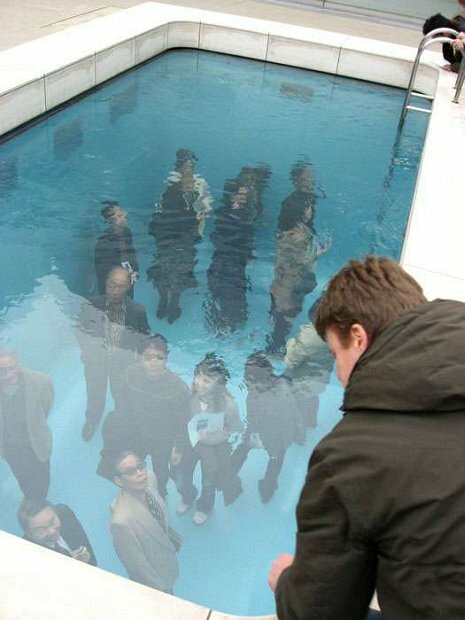 Leandro Erlich who presents him as an « architect of the uncertain », creates spaces with fluid and unstable boundaries. A single change (up is down, inside is out) can be enough to upset the seemingly normal situation, collapsing and exposing our reality as counterfeit. 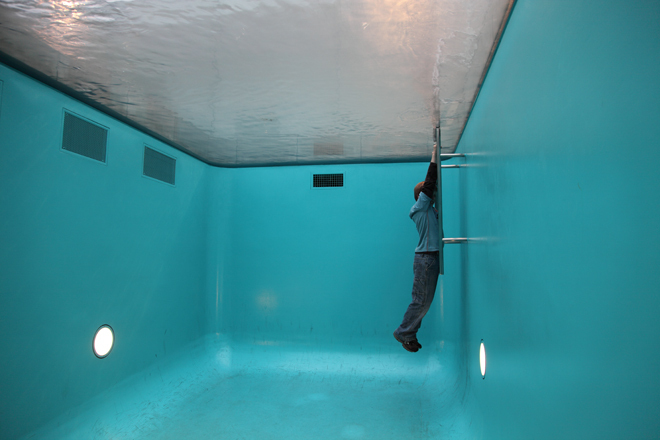 An other spectacular installation of Leandro Erlich : « Swimming Pool » took place at P.S.1 Contemporary Art Center in New York in nov.2008. Previous postMuseum in the middle of nowhere Next postTake a Look at my Balcony!